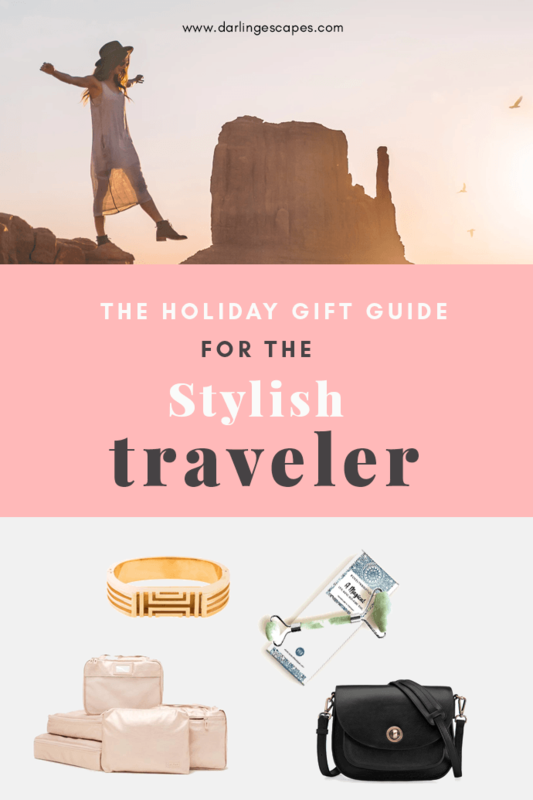 With the holidays just around the corner, we’ve been busy finding the testing the perfect gifts for all the women in our lives who appreciate and love travel as much as we do. So, in an effort to make things easier for you too, we’ve gone ahead and pulled together the list of all the things that we’re going to be gifting to our friends and family (and a few items that we’d love to receive ourselves). What can we say about Rosetta Stone that we haven’t already mentioned? We’ve been using the program on our laptop and desktop for a few months now to up our Spanish skills, and have fallen so hard in love with it that we’re singing its praises to everyone and their mother. The best thing about it is it we can use on the road-either on the plane or trains or road trips and even at the gym! With 30 different languages under its umbrella, and with subscriptions ranging from 3-24 months, chances are that it fits in most budgets and language interests. 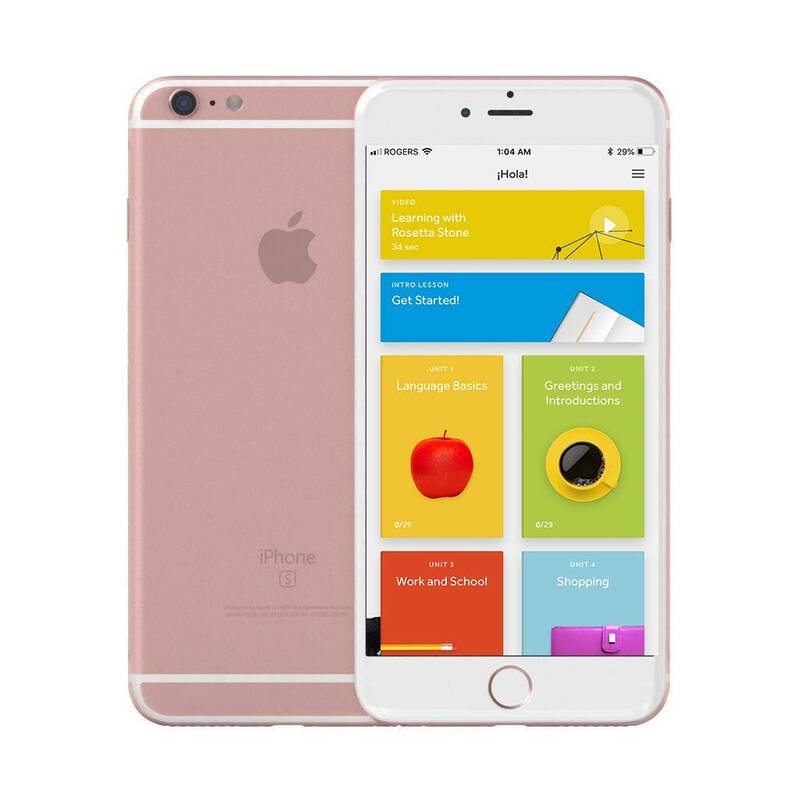 With a great user interface, the program is really easy to use, and the lessons, challenges, and activities work with a variety of learning behaviors and styles. WHO IS IT FOR: Those on your list who love immersing themselves into different cultures, and want to learn new languages. It’s also great for those who travel a lot for work and want to brush on their language skills. And you can get a discount on the subscription here. There are 2 types of photographers in the world- those who want the best options and know how to use it, and those who want something great and can make magic happen with it. Luckily, our favorite camera brand, SONY, has options for everyone. One of the best mirrorless cameras on the market- and perfect for those who want to take their photography to the next level. We pair ours with the 16-35mm lens which is perfect for lifestyle and travel photography. Compact, easy to use and easy to carry- this camera is perfect for those who want to elevate their photography game, but don’t want to carry around a full camera kit. Both options are wonderful and can serve different purposes. We currently use the A7RIII for all the images on our Instagram and most of the ones on the blog, and can’t say enough good things about it. We’ve also used the A6500 and have created some of the images and videos that we’re most proud of. 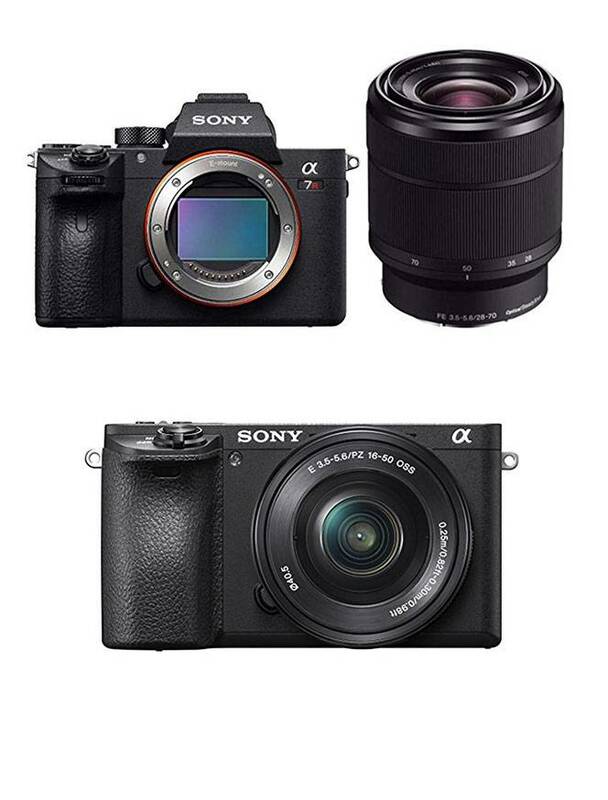 You can pick up the A7RIII here and the A6500 here. 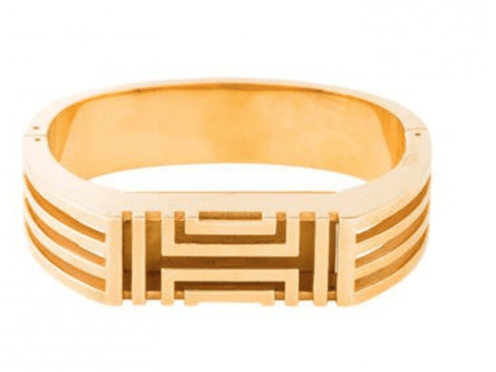 Tory Burch For Fitbit hinged bracelet featuring openwork cage with hinged push clasp closure is perfect for those love the love the idea of counting their steps, and staying active while traveling but want to disguise their FITBIT so they can wear during the day and night. There’s nothing more magical than giving the gift of books- and a Kindle is the best way to give a gift of thousands of books. 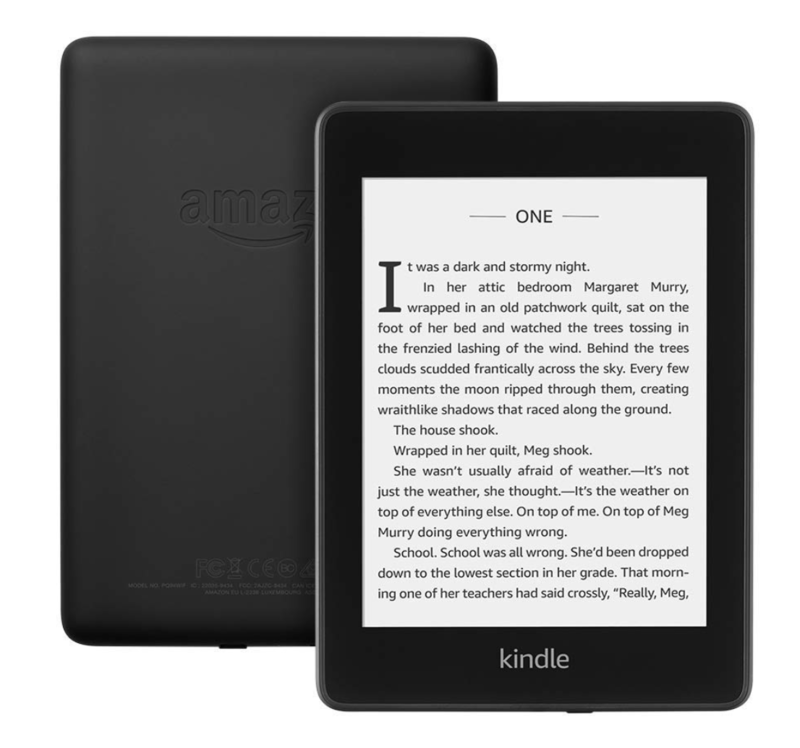 We love our Kindle and carry it with us for all of our trips. In our humble opinion, books are the best way to pass time and escape into a different world on those long flights. There is nothing better to gift a traveler than the gift of travel. 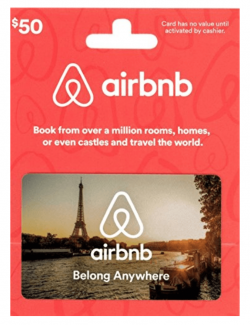 Airbnb gift cards are basically encouraging the traveler in your life to go on more adventures without any further commitment from your end. We love them because it’s better than giving cash or booking a hotel. We’ve been using Happy Plugs headphones for 3 years now, and always have an extra pair with us when we travel. 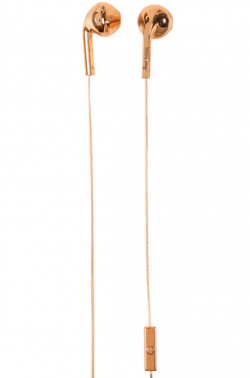 They are pretty much as perfect as headphones can get- they don’t rip, are noise-canceling, look cute, and you don’t have to worry about batteries draining. We use them almost everywhere and recommend to almost everyone. Any traveler worth their salt knows and loves packing cubes. 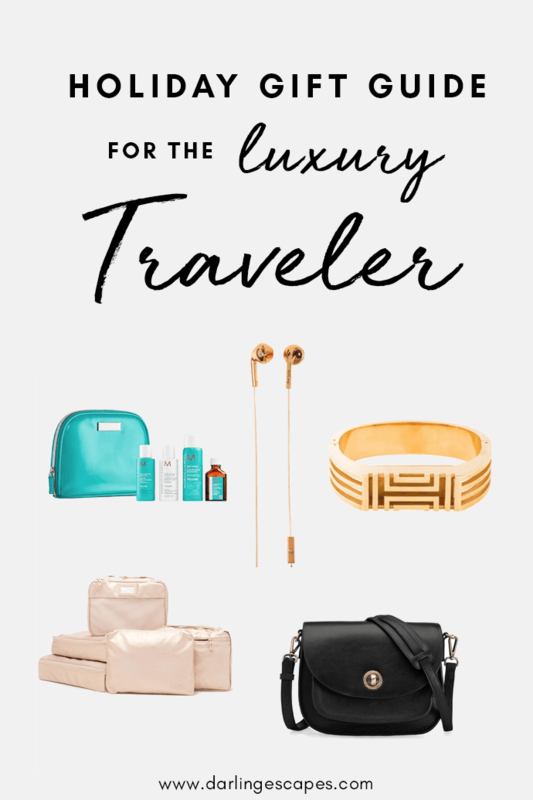 They were sent from the heavens to help those of us who want travel carry-on only (or not) and want to pack enough things to still look presentable. 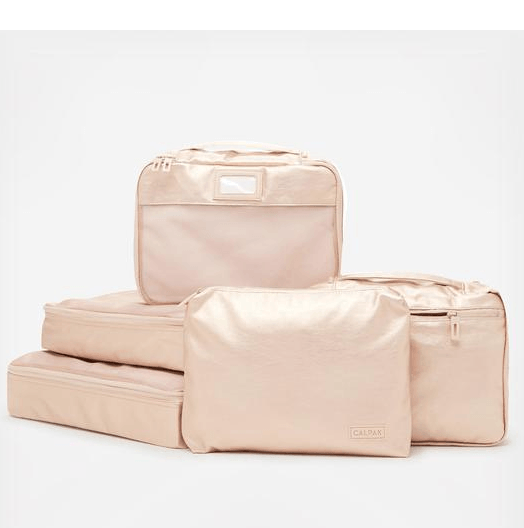 The reason why we love these CALPAK’s packing cubes is that they are beautifully designed, and look really great- making packing less of a chore! Not only do they save space and time and stay organized but they fit perfectly into luggage, drawers, tote bags, gym bags, trunk space and more making us look like the packing ninja that we are! 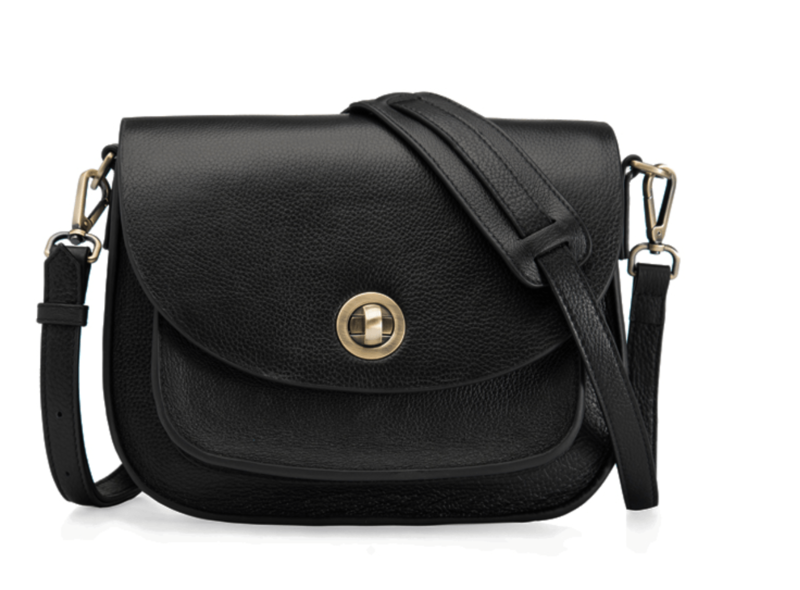 Finding the perfect camera bag that looks like an everyday purse, and still protects your camera has been a chore until now- enter Gatta Bag- we’ve been using RAE NOIR for the last few months and can’t say enough good things about it. The purse easily fits a mirrorless camera (like the SONY above), a lens, and still has room for a small wallet and cell phone. 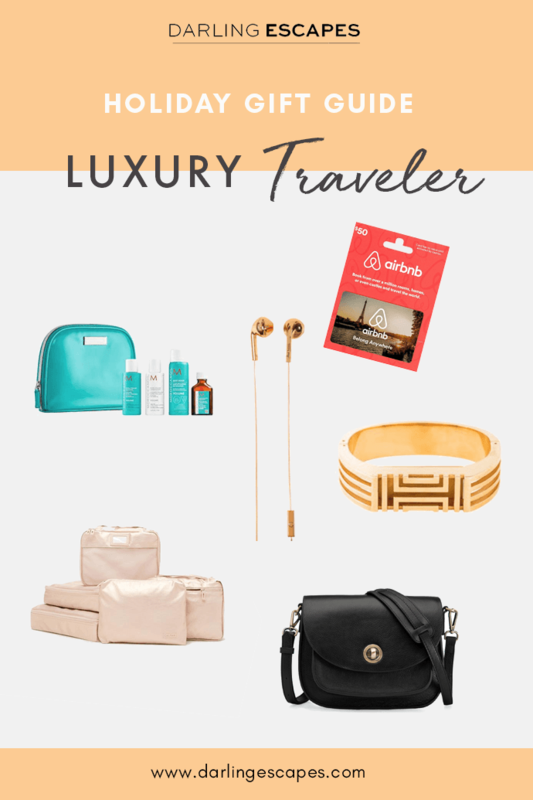 Pretty much everything you need for a day or night out- without calling attention to the fact that you can have a camera with you. 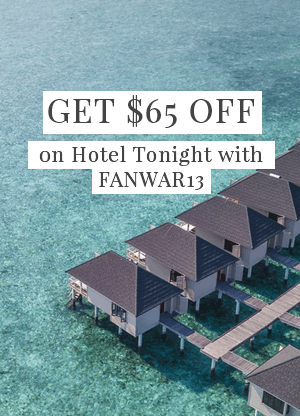 A four-piece set of travel-size, volumizing hair products, all infused with antioxidant-rich argan oil, and the perfect thing to gift because we all know that not all hotel amenities result in great hair days. We’ve been using these MorroconOil products for years, and they are the perfect antidote after a long drying flight. 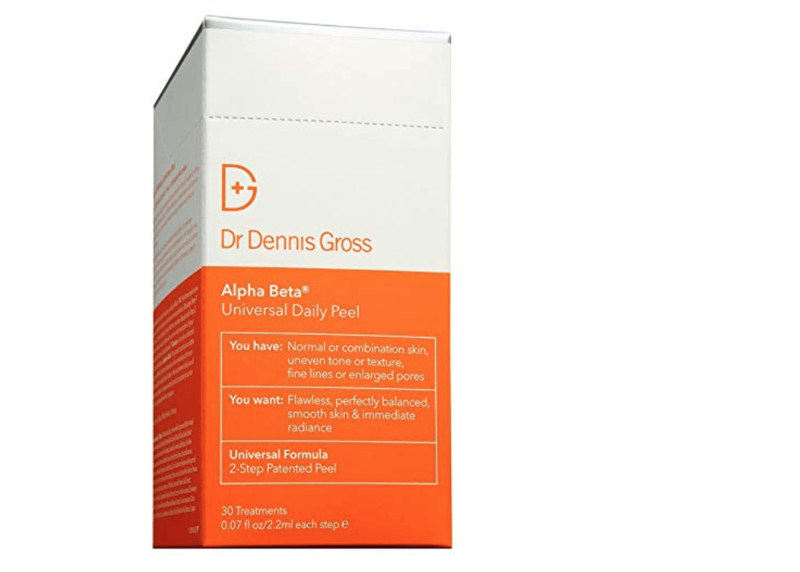 The perfect gift for those who love beauty products and understand how a good peel can do wonders- especially when traveling. 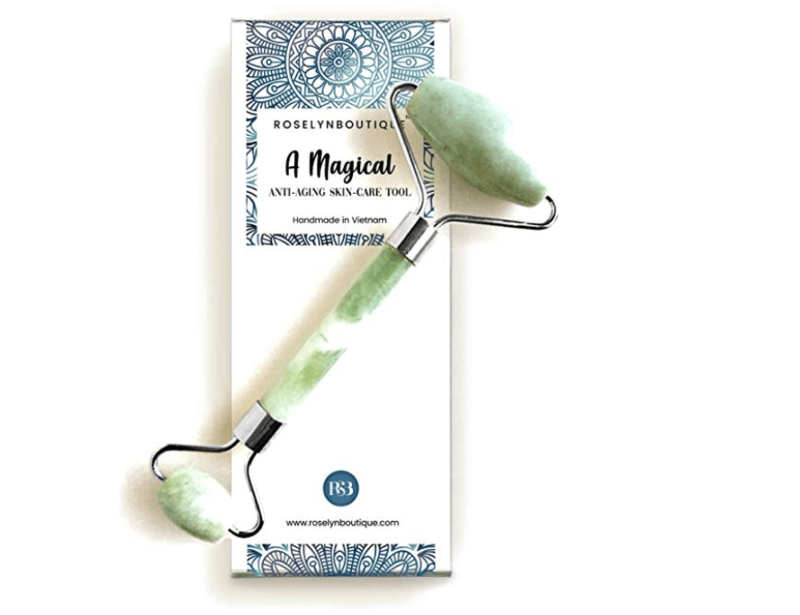 Those are the holy grails for beauty lovers, and are perfect to toss into a carry-on or purse and can be used on flights to have that fresh-faced glow after a tiring flight or day! Those who travel often know that feeling of waking up puffy after a long travel day. Enter jade rollers- those little magical helpers help de-puff your face, and help you get ready to face the world! We have a few in our different carry-on bags for the mornings where there isn’t enough coffee in the world to help. This post might contain affiliate links which cost nothing to you but do support this website.